(ADA) Cardano Coin Review: Is it Worth Investing? Amidst all the hype about Bitcoin, a lot other decentralized cryptocurrency have evolved which claim to work similarly. One such cryptocurrency is Cardano (ADA) which comes with quite promising value. According to coinmarketcap.com Cardano is the 5th best cryptocurrency at the time of writing this article. So let us discuss Cardano (ADA) currency and its salient features in brief. Note: Cryptocurrencies worth is mostly speculated and highly volatile. Only invest the amount that you can afford to lose. And always do your own research before investing in any coin. What is (ADA) Cardano cryptocurrency? Cardano is a cryptocurrency which is quite similar in structure and function to many prominent cryptocurrencies such as Bitcoin or Ethereum. It is a decentralized currency that gives all its users to track and validate transactions on this platform rather than depending upon any centralized authority. However, Cardano is found too much more than mere cryptocurrency. It is said to be a platform which uses the technology to run daily financial needs by various individuals. It runs on blockchain technology hence the use of third-party for any transaction is often overruled. It was launched in the year 2017 in 29th September. It is said that there are total 31,112,483,745 ADA coins available. It uses the third generation blockchain technology for its transaction. It uses a wallet named as Daedalus for its storage and transaction. Additionally, it uses the Proof of Stake system of mining which is comparatively more secure than the Proof of Work system used by Bitcoin. Charles Hoskinson who is one of the prominent members of Ethereum is an integral part of Cardano which is going to give a professional backbone to the newcomer. From the GitHub repo, you can see that continuous development is going on for Cardano with more than 40 contributors. 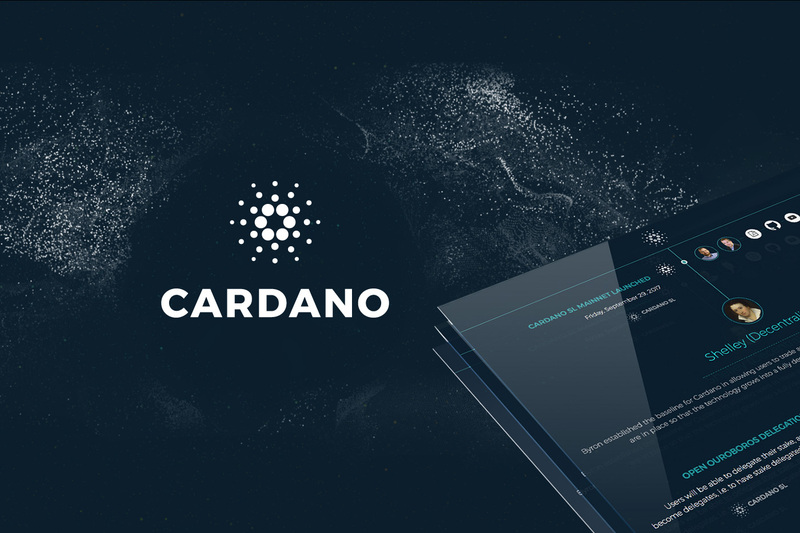 Cardano is similar to any other cryptocurrency, but this particular cryptocurrency is being formed to solve various problems that the previous cryptocurrency have come across. It is more or less evolved versions of previous cryptocurrencies. ADA coin uses the Proof of Stake system in which a group of validators is set to choose authentic forgers based on their asset. That means you need to have a certain amount of coins in your wallet to forge. And the more the coins, the better are your chances to be a forger and earn the transaction fees. This secures your system against the 51% attack which would require a person to acquire 51% of the total coins to manipulate the transactions. Other than ADA, Ethereum uses this system for its miners. The algorithm that Cardano uses is OuroBoros which uses scientific methods for verification purpose. They are aiming to build such a cryptocurrency which would solve all the problems of previous generations of cryptocurrencies. They are also trying to network all the cryptocurrency together to function as a single entity. They are making sure that inter-trading won’t be a problem in future among all the virtual currencies. Cardano has come to the market this September and seemed to grow quite a lot since its introduction. Currently, 25,927.070,538 ADA seems to be circulating while many remain to be mined. The current value of one ADA is $0.391708, and since its announcement, its value has grown from $0 to $0.40 in a matter of 4 months shows that it is going through a steady rise. Hence we can conclude that this coin is worth investing. But, Investing in any cryptocurrency requires prior guidance. Hence it is recommended to understand this cryptocurrency before investing in it. How To Buy Cardano (ADA) Coin? The best way to buy Cardano coin is through Binance exchange. It is one of the trusted exchange for buying Altcoins. In Binance, you can buy ADA coin using Bitcoin or Ethereum. You can store your Cardano coins locally on your desktop using Daedalus wallet. You can find the official tutorial for using Daedalus from here. It is always better to store your cryptocurrencies in private wallets rather than hosted exchange wallets.